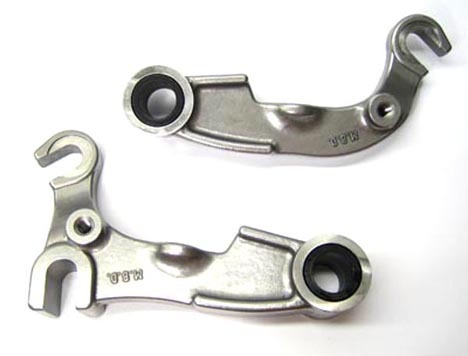 Stainless steel GP200 style fork links for use with disc brake to replace Innocenti part numbers 19760050, 19760060, 15060050, and 15060060 (can also be used with drum brake on Series 1/2 TV models with fixed stud on back plate). Precision forged from high grade stainless steel in the UK by MB Developments, these fit any Series 1/2/3 forks when used with GP type fork rods and loose balls. Sold only in pairs.